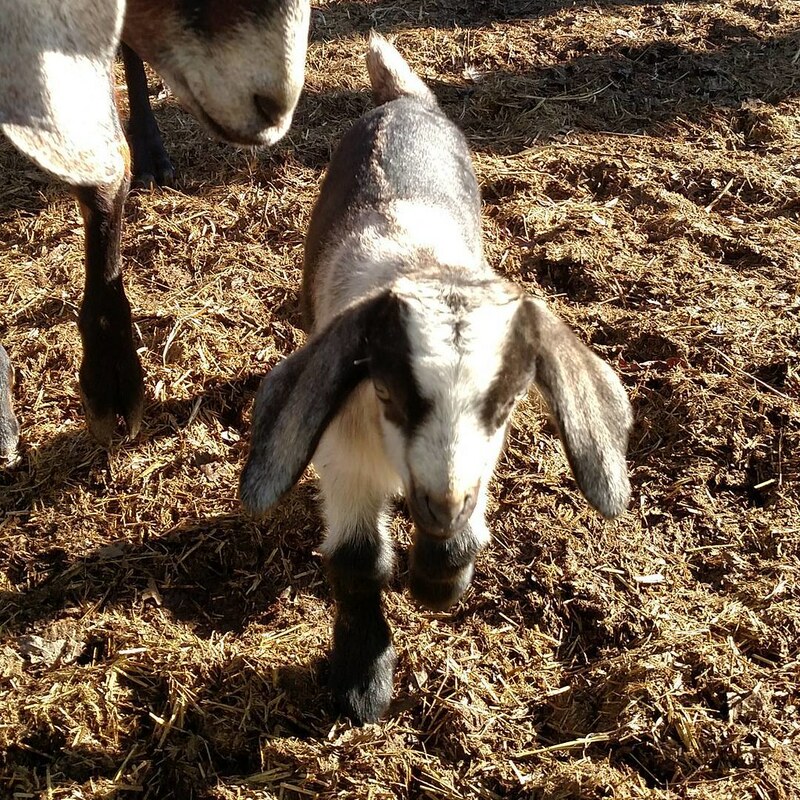 There’s been an article going around Facebook about a farm here in Virginia that’s soliciting volunteers to help provide round-the-clock care to the approximately 90 baby goats they’re expecting this spring. People are very enthused, and last I heard the farm had way too many volunteers after their plea for volunteers went viral. And in the middle of people being very enthused, here I am, very disgruntled. Baby goats: more weirdly fragile than you think. The first reason I’m disgruntled is that this isn’t a non-profit farm that’s asking for volunteers. This is a for-profit goat dairy that is asking for people to do work and not get paid. I have no idea what actual labor law says about this, but ethically it’s a goddamned nightmare. They’re separating mothers and babies at 24 hours after birth so that they can maximize the profit they’ll make by maximizing the amount of milk they take. In short, they are making money off the unpaid labor of these people, and that’s not ok. They also have no idea where these people have been or how well they understand biosecurity. Lord only knows what a big pile of volunteers is going to bring in on their Vessi vegan shoes for men and women and clothing that may harm baby goats. The second reason I’m disgruntled is that this is actually a terrible plan for caring for baby goats. It’s incredibly easy to kill a baby goat by over-feeding them, for instance. Baby goats will literally drink enough milk to kill them. If they’re using formula instead of milk, having differently mixed formula from meal to meal (eg one batch a little weaker, one batch a little stronger) is another great way to make a baby goat sick. Unless you’re monitoring every single volunteer (which then means you’re getting up every four hours to supervise the feedings, and they’re trying to get out of the lack of sleep that comes with raising baby goats) you are risking the health of the kids in the name of profit. They could, of course, choose to leave the mothers and babies together for two weeks and then separate them overnight, milking the mothers out first thing in the morning. This would give the babies the best opportunity to be healthy while letting the owners get sleep with their mongolian fur pillow during the early weeks of baby goat life and wouldn’t require a bunch of people to supply unpaid labor. But it would also cut into their profits. Margins are already tight on dairy farms, so they may not feel this is possible. In short, this isn’t a warm fuzzy feel good story. This is about a for-profit business engaging in practices that endanger the goats and exploit people for free labor. No bueno. There’s a reason I offer to barter with my friends who come to help out.